There are three distinct lights here that serve unique purposes. The light to the right of the packaging is primarily a gradient. It helps define the curvature of the packaging along with a spherical recessed area. Due to the nature of the packaging material, it also serves as a light that establishes the underlying clay texture. Two lights on the left are key and fill lights. The broader light helps to distribute lighting very evenly yet preserve all the intricate details. 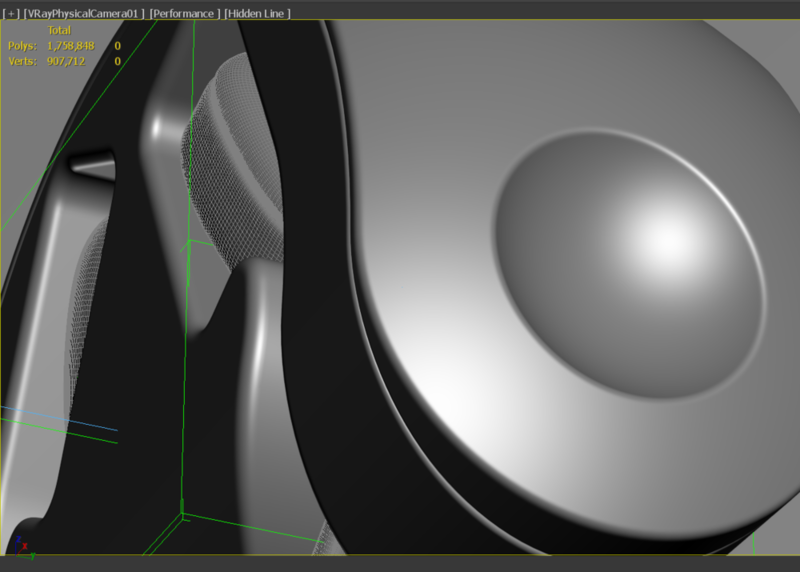 The smaller key light draws the shape mainly through specular reflections. 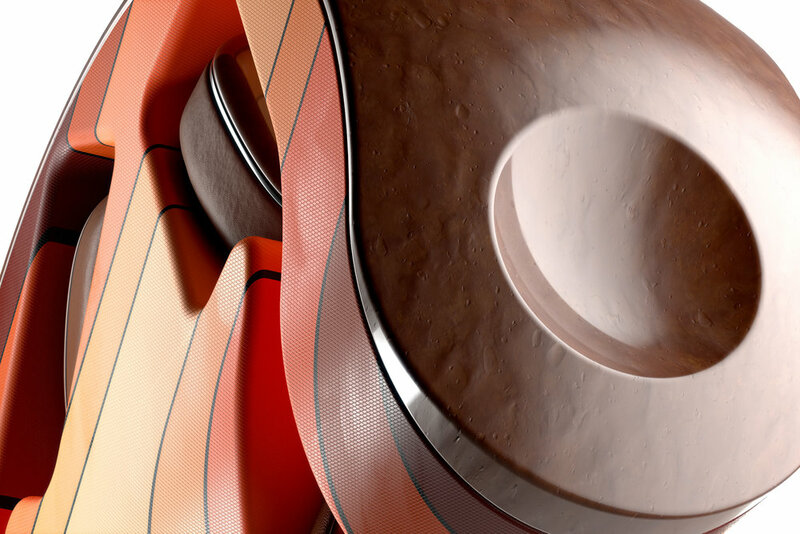 Since they have more compressed BRDF distributions, they provide a required contrast at every turn of the surface, surface texture and glossiness irregularities.